Mayanti Langer and Stuart Binny. 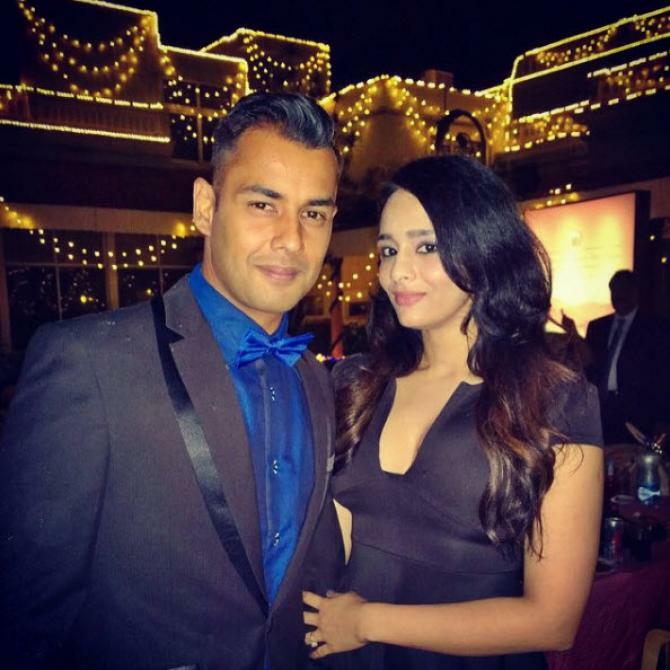 Television broadcaster Mayanti Langer has recently revealed how she met her cricketer husband Stuart Binny, who currently features for Rajasthan Royals in the Indian Premier League. Meanwhile, she has worked her way hard in a male-dominated field of sports presenting. Over the years, she has become the face of the Indian cricket broadcast and has left her mark everywhere. However, despite reaching the pinnacle, her journey was not an easy one. In a recent chat, Mayanti Langer has revealed her encounter with body shaming. She then went on to reveal an anecdote when an individual sent a picture of her to Stuart Binny objecting to the dress she was wearing while interviewing India cricketer Suresh Raina. “I had done an interview with Suresh Raina for one of my shows. I was wearing a dress and someone took a screenshot and sent it to Stuart on Insta or something, saying ‘Stuart Bhaiya ye kya ho rha hai? (Stuart Bhaiya what is going on)’. And he was like ‘This is Suresh Raina bro. He is my teammate. He has captained me in an India game’,” she said while speaking on Miss Field. “Suresh Raina knows I am Stuart’s wife. He is married and has a child now. It’s just the outside world. They try and do things to everyone. It’s not just me and him. I think everyone who’s in the limelight faces that,” she added. Mayanti Langer also revealed an awkward meeting with Stuart Binny for the first time. She also admitted that she had no prior knowledge about Binny when she came to this field. “No, I didn’t (know Stuart) when I first met him. And that was a funny thing. I remember one of my producers walking by one of the teams and said ‘that’s Stuart Binny, that’s Roger Binny’s son’. And I am like ‘Okay. Who?’ That’s how bad my knowledge was when it came to cricket,” Langer concluded.